Wolf commercial ranges are found in many restaurants worldwide. These restaurants know the importance of quality cooking equipment, equipment that will perform as it should time and time again. There are times though, when commercial ranges are in need of maintenance and/or repair which must be done promptly by the experts who were factory trained and certified, and will fix your appliance according to the manufacturer�s standards. 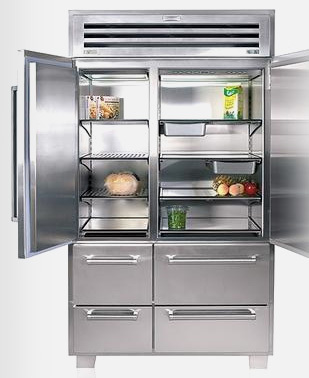 We offer prompt and guaranteed repair services for any age and model of Wolf commercial cooking appliances. We can pinpoint the source of the problem and work on a quick solution so you�and your appliance�can get back to taking the best possible care of your customers! We offer service and repair for all of Wolf's vast product line including: Commander and Challenger XL Ranges, Char Broilers, Salamander Broilers, Convection Ovens, Heavy-Duty Commercial Ranges, Sectional Bake-N-Roast Ovens, Fryers, Broilers, Cheesemelters, Griddles, Hot Plates, Fryers, and Stock Pot Ranges. Also we have specialists for Wolf gas range and stove restoration and refurbishing. Call us for details. With the most up-to-date technology, equipment and products available, we will deliver to you a level of satisfaction unparalleled in the appliance repair industry. We want to exceed your expectations...AND keep your operation running smoothly!